It can be argued that The Amazing Spider-Man is the Spider-Man film for fans of the web-slinging hero. Frankly, it surpasses Sam Raimi’s trilogy in terms of special effects and that is not overly relying on CGI. The practical effects and stunt work really make Spider-Man come alive in a way that hasn’t been done before. The 3D is visually spectacular even the night shots. Pardon the pun but some shots of Spidey are truly amazing and look as if they were taken out of a comic book panel. Forget about alterations to his costume, the filmmakers captured the essence of Spider-Man. But enough about the effects and look. The rest of The Amazing Spider-Man is a solid and welcome addition to Marvel’s superhero film roster. While director Marc Webb may not be as gimmicky and flashy as Sam Raimi was, he has an eye for character. He lets the quiet moments speak for themselves and knows how to show just enough of a character moment before moving on. The relationship that Peter Parker (Andrew Garfield) has with Gwen Stacy (Emma Stone) is the soul of the movie without going overboard. Webb wisely uses this constraint in showing us other aspects of Parker. This results in the film not being as cornball or overly sentimental as Raimi’s Spider-Man films sometimes felt. Don’t worry, there aren’t any dance numbers! Garfield does an excellent job portraying him and his masked alter ego. He makes viewers and fans forget about Tobey Maguire with his constant moping and sad eyes. This Parker while burdened with responsibility is very proactive and as Spider-Man he cracks jokes, and behaves just like he does in the comic books. While this film has the hero constantly unmasked it actually works and one doesn’t mind. As for the rest of the cast, they turn in fine performances with top honors going to Stone and Denis Leary (as her father police captain George Stacy). The captain’s obsession with trying to arrest Spider-Man is an engaging subplot that was never explored in depth before on film and deftly adds to Spider-Man’s headaches. BTW, Stan Lee has one of his very best and funniest cameos in the film that puts him in the same shot with his greatest creation. The main villain in The Amazing Spider-Man as everyone knows is the Lizard a.k.a. Dr. Curt Connors (Rhys Ifans) a one-armed scientist with ties to his dead parents. The film links his creation to Spider-Man’s and it’s a complaint that goes back to many of these films (such as Batman) but it’s handled fairly well. Compared to the comic book version, Connors isn’t as sympathetic which is a detriment to the film. The Lizard may not be as great a villain as Doctor Octopus but he is still an imposing, formidable character who puts Spider-Man through hell. Standing nearly eight feet tall with regenerative powers and a cunning mind he seems more like a smart Hulk mixed with Wolverine and a velociraptor from Jurassic Park. That’s a deadly combination. The film does have faults: we didn’t need to see another origin sequence, which could’ve been handled with flashbacks; some plot developments are dropped too cleanly; the score by James Horner isn’t particularly memorable. But there are so many things that the filmmakers get right with this film because like Sam Raimi, they understand Spider-Man and it shows. So how does it compare to the previous films? Well it’s much, much better than Spider-Man 3 and arguably on par with the first Spider-Man. 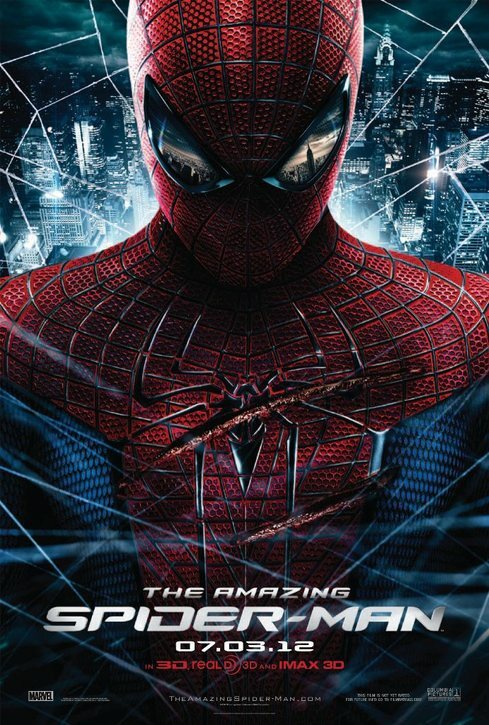 Despite Spider-Man 2’s flaws it was Raimi at his energetic best and a better film than The Amazing Spider-Man, but Spider-Man 2 set a high bar that is hard to top. It’s too bad Sony chose to release The Amazing Spider-Man so soon after Raimi’s trilogy ended. This is bringing about some unfair comparisons by fans of those films. But go in with an open mind and be prepared to be amazed.